Why visit Namibia? Find five good reasons on here! HomeTravel news and articlesWhy visit Namibia? Namibia is a holiday paradise. 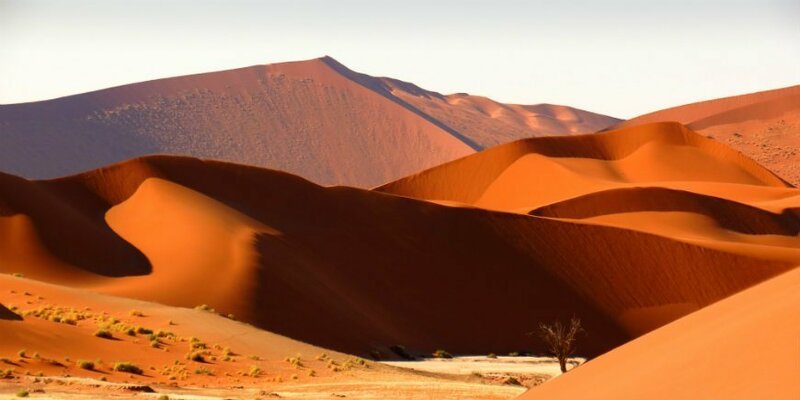 Spectacular red sand dunes in Sossusvlei, the fascinating Etosha Pan salt plain and the Red Tribe in Kaokoland are just a small selection of the many amazing experiences the South African country has to offer. Read here for five reasons to visit Namibia below. 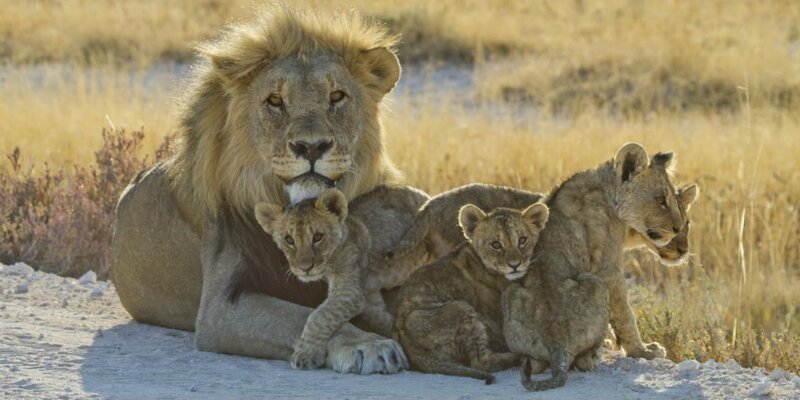 In Namibia you can enjoy fantastic safari experiences in Etosha National Park. Giraffes, lions, zebras and elephants are just some of the beautiful animals you can see in the unique national park. Many of the park’s animals gather around the waterholes because water is scarce in the dry season. But the most striking place in the national park – and what characterises it – is the salt plain, Etosha Pan. The staggering 5,000 km2 salt plain is what makes the national park unique. It’s actually so big that it can be seen from space! When heavy rain deposits large quantities of water during the rainy season, the salt plain is filled. 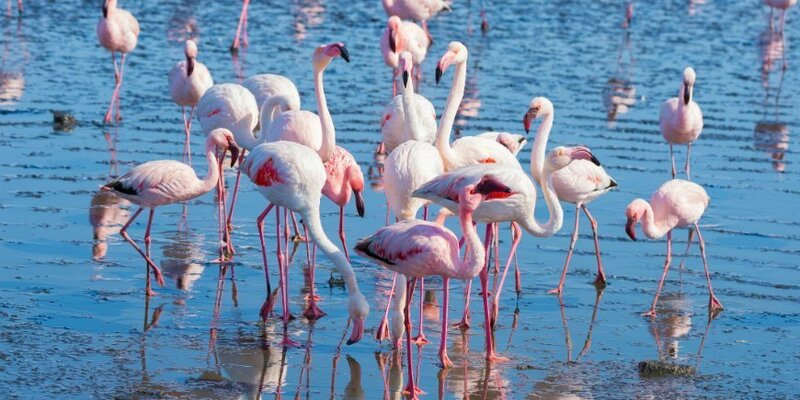 This attracts birds to the area, making this a good time to see birds such as flamingos. Etosha National Park is a fascinating national park offering unique experiences. Love stars? Then Namibia is the place for you. The country is one of the best places in the world to see stars. And the Namibian night sky is a starry sea of sparkling dots. 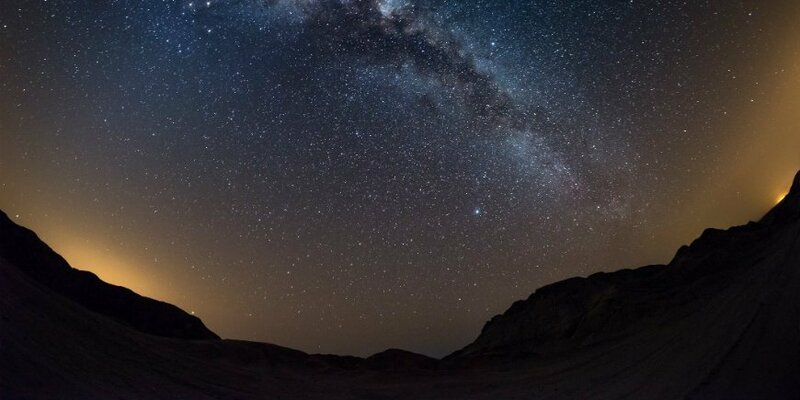 Namibia is a unique place to starwatch thanks to its modest air and light pollution, and because the night sky is clear and cloud-free. A wonderful place to experience the formidable night sky is around the red sand dunes in Sossusvlei. A truly unique people will greet you if you visit Kaokoland. 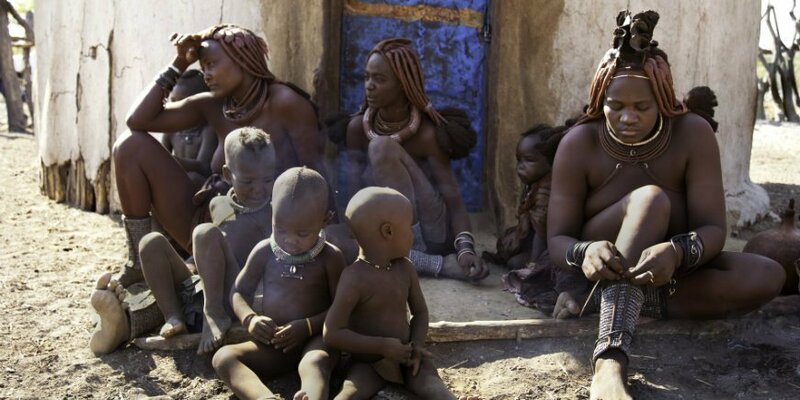 The Himba tribe is a unique tribe counting around 50,000 people. What makes the tribe so unique is the red appearance of the women. From their teenage years, the women of the Himba tribe start applying otjize to their bodies, a cream consisting of red ochre, fat and butter. They apply the cream to their skin and hair – their thick locks of hair a product of this. The cream is also used as sun cream and insect repellent. Besides the intense red ochre, the women wear large jewellery. And you can see what landmark experiences they’ve had in life, as the hairstyle changes after a death or marriage, for example. The colourful people are a beautiful and fascinating encounter with a unique tribe in northern Namibia. Imagine a beautiful lagoon, a paddle and kayak. These are the only three things you need to enjoy an experience of the truly magnificent kind. A kayaking trip around Pelican Point and Walvis Bay in the western part of Namibia offers a host of amazing animal and bird experiences. Paddle among the 50,000 animals living in the area, including seals, flamingos, pelicans and dolphins. In a kayak, you are almost at one with the water, making it possible for you to enjoy the animals right up close. The birdlife is particularly amazing. Red sand as far as the eye can see. The sand dunes in Sossusvlei are breathtaking from all perspectives. Sossusvlei is located in the southern part of the world’s oldest desert, Namib. It’s a truly unique experience to see the red sand from above, floating in a hot air balloon. 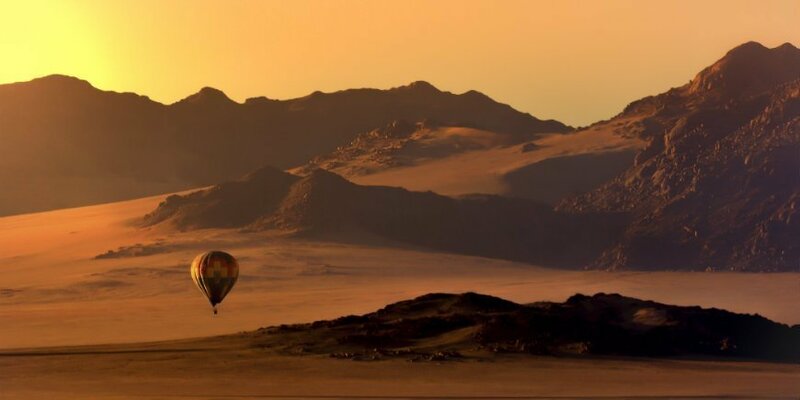 In the red glow of the sunrise, you leave land to see the spectacular desert and the morning glow of the sand from the air – a magical experience if ever there was one. If the country has not already won your heart, it will now. Namibia offers countless magical experiences. Check out our self-drive and safari tours to Namibia and find out which tour gives you what you want to experience in South Africa. You are, as always, very welcome to contact our travel consultants if you have any questions.